NES DAIVA Story 6: Nirsartia no Gyokuza (JPN) "best ending" in 36:53.04 by genzie. DAIVA Story 6: Nirsartia no Gyokuza (DAIVA ストーリー6 ナーサティアの玉座) is the sixth game in the DAIVA saga. Like the other games in this franchise, it tells the same overarching story, however this time the story is explored through the view of the protagonist named Mahtari Shuban. Mahtari's task is to take resources from 15 different hostile planets and also defeat the enemies who inhabit them. Unlike the other games of the saga, released on various Japanese home computers, this game was released on the Famicom. 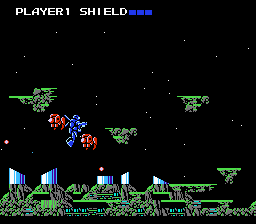 It also plays more like a shoot-em-up rather than a strategy game like the other games of the saga, except you don't float at all, since the main character is affected by the gravity of the planets he visits. Newcomer genzie achieves the best ending in record time.